Photo from Chez Panisse on Facebook. 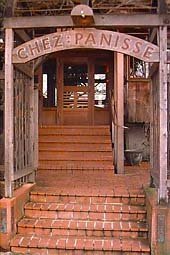 The interwebs were all abuzz that co-chef David Tanis, who has been working on and off at Chez Panisse since the 1980s, is leaving the restaurant in the fall after the restaurant’s 40th anniversary parties in September wrap up. Scoop also reports he will be writing more cookbooks, and a regular food column for the New York Times.